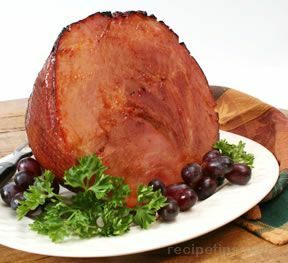 About 1 hour before cooking, remove the ham from the refrigerator and allow to come to room temperature. Cut diamond shaped slits in the top of ham. Be careful not to cut into the meat. 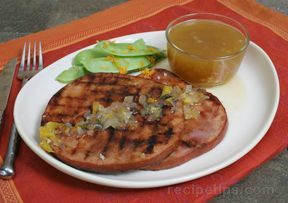 Place ham in a 4-5 quart crock pot and pour apple juice over top. 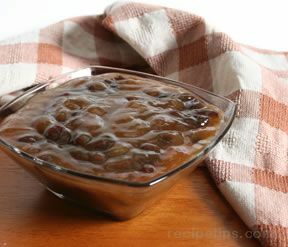 Combine brown sugar, honey, Dijon mustard, and pepper in a small bowl and blend well. Spread over ham, taking time to get the glaze into the slits. Remove from crock and let rest 5-10 minutes. Slice and serve. "We fixed a ham in the crock pot last weekend and we used this recipe. It was simple and turned out fantastic. I went by Arden's comments and only cooked the ham for 4 hours on low. I use a 5 lb. ham and 4 hours seemed to be perfect." 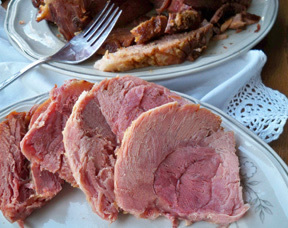 "The ham had a great taste but I left it in the crock pot for 6 hours and it was a little dry. I think next time I will try about 4 hours as Arden suggested." "I found that cooking 4 hours on low was just right. Aroma flavor and texture were wonderful. My guests gave it rave reviews. I would definitely use this recipe again when preparing ham. One change I made was not to add black pepper."